Posted at 7:36 am on December 7, 2012 by Jesse M.
Here's a fun fact: In 2002, Psy performed at an anti-American concert in Korea and sang about killing our soldiers and how awful we are. He has the most-watched YouTube video ever (more than 900 million views), and is set to perform for the Obamas at the annual Christmas in Washington concert later this month. Eight years ago, however, the “Gangnam Style” K-pop singer advocated the murder and torture of US military personnel and their family members. HAPS, an English-language Korean magazine, says PSY’s anti-American views have long been known in Korea, but only recently surfaced in the US. PSY’s anti-American views weren’t discussed when the K-Pop star appeared on Ellen. Exit question: Will anyone in the mainstream media ask PSY if he still supports killing US soldiers and their family members? Surprise! Despite PSY’s anti-American views, President Obama still plans to attend his Christmas in Washington performance. Correction: Twitchy originally stated that PSY was set to perform at the White House. The Obamas will attend PSY’s Christmas in Washington performance, but the concert venue is the National Building Museum. This post has been updated to reflect that information. As a proud South Korean who was educated in the United States and lived there for a very significant part of my life, I understand the sacrifices American servicemen and women have made to protect freedom and democracy in my country and around the world. The song – from eight years ago – was part of a deeply emotional reaction to the war in Iraq and the killing of two innocent Korean civilians that was part of the overall antiwar sentiment shared by others around the world at that time. While I’m grateful for the freedom to express one’s self I’ve learned there are limits to what language is appropriate and I’m deeply sorry for how these lyrics could be interpreted. I will forever be sorry for any pain I have caused anyone by those words. I have been honored to perform in front of American soldiers in recent months – including an appearance on the Jay Leno show specifically for them – and I hope they and all Americans can accept my apology. While it’s important we express our opinions, I deeply regret the inflammatory and inappropriate language I used to do so. In my music I try to give people a release, a reason to smile. I have learned that though music, our universal language we can all come together as a culture of humanity and I hope that you will accept my apology. 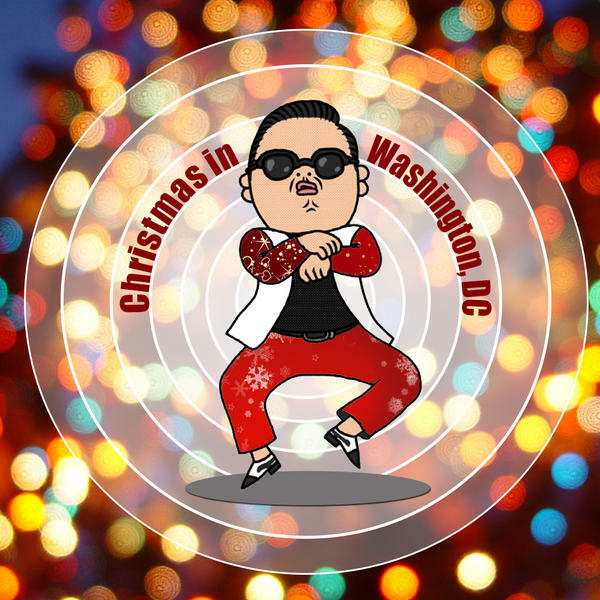 The chances of PSY being uninvited from the Christmas in Washington event seemed slim before and are likely nonexistent now. Perhaps the best we can hope for is that the president not say, “No apology necessary.” But will Americans find it in their hearts to forgive for the sake of “a culture of humanity”?